Gerrymandering is the process by which political district lines are drawn by the very politicians who stand to benefit by them. GerryRIGGED: Turning Democracy On Its Head shows how technology has made gerrymandering such an exact science that, in most cases, incumbents cannot lose and challengers cannot win. In this documentary, we see how non-partisan reform efforts now underway in Virginia and elsewhere can change this dangerous trend and return political power to the voters. Watch GerryRIGGED: Turning Democracy On Its Head October 24 at 9:00 p.m. on WCVE PBS/WHTJ PBS. Check listings for additional air-times. 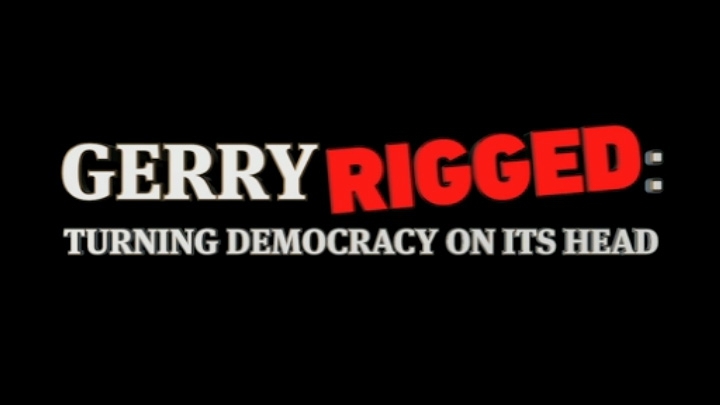 The Community Idea Stations and OneVirginia2021 joined forces to produce a statewide public television documentary, GerryRIGGED: Turning Democracy On Its Head. This one-hour documentary will bring awareness to the impact of gerrymandering, and explore how Virginia can progress from a system where legislators create their own districts toward a system that makes sense for true representative government. GerryRIGGED: Turning Democracy On Its Head will examine the historical context and consequences of gerrymandering through a multi-partisan lens that includes Republicans, Democrats, Independents, Libertarians and the Tea Party. The documentary will explore the impact on communities and individual lives by including testimonials from strategists, political consultants, and map drawers, and by incorporating interviews with the men and women in politics who have the most to win – and perhaps lose – through reform.